Interview: STEVE STARKEY Steve Starkey is a professional ‘reality TV’ punter. He has won an estimated half a million quid betting on the outcome of Big Brother, X Factor, I’m A Celebrity, Eurovision and the like. In this series of interviews he talks how he manages to double guess the Great British voting public. He’s also very candid as to how he gets on and mentions the websites he uses to give him an edge in this very specialised betting medium. Steve Starkey has won over £500,000 betting on reality TV. 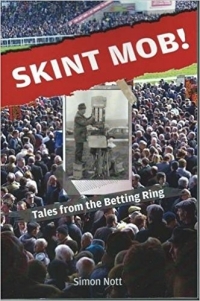 In part one of three he tells us how the advent of betting exchanges and laying a loser set him on his way to making professional punting a reality. In part 2 Steve talks about his thinking behind the Eurovision Song Contest, why he ignores tipsters that blow their own trumpets, using friends to help get on, though found out that including his 75 year old mum had its pitfalls plus thoughts on political betting. In the final part of our interview with professional reality TV punter Steve Starkey he gives us the nod to some invaluable websites to use to make a judgement on how the public are thinking and tells what is needed to become a successful punter.